VOTE for healthy living by walking a 1k (.62 mile) on the Copper Creek trail in Pleasant Hill as part of the Healthiest State Walk on Oct. 8th at Noon. Iowans across the state have shown their support for the Healthiest State Initiative by the thousands. By the hundreds of thousands, actually – each year for the past three years, nearly 300,000 Iowans have participated in 1-kilometer walks to show that we’re ready for a healthier Iowa. As they approach their fourth year, we as citizens and businesses of Pleasant Hill plan to do our part to keep the momentum going and make this year’s walk the biggest one yet. 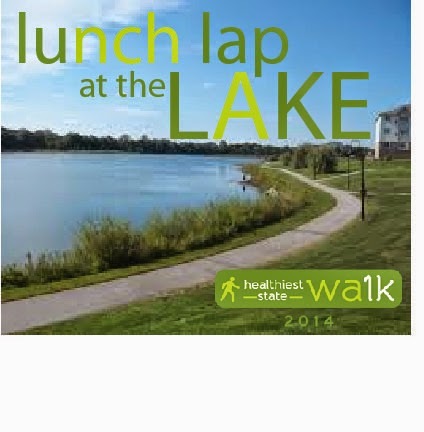 Be part of the movement by walking one kilometer (.62 miles or roughly 12 minutes) on October 8 at Pleasant Hill’s Lunch Lap at the Lake. This is a free event but we ask that everyone sign up to cast their vote for a healthier Iowa. We will meet at the shelter in Copper Creek Park at 4390 E. University, Pleasant Hill, IA.